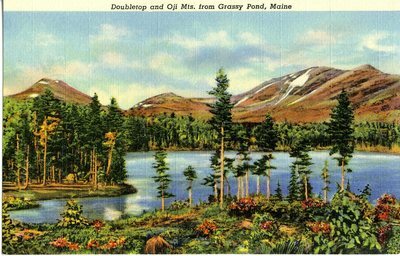 "Maine's Doubletop and Oji Mountains Postcard "
A postcard image printed with the text, "Doubletop and Oji Mts. from Grassy Pond, Maine." Doubletop and OJI Mountains are located in Baxter State Park in Piscataquis County, Maine.